Managing luxury private estates, stately homes and overseas properties. We work closely with venue owners looking for stress free and secure management. Creating unique experiences and providing event management services to venues, individuals and businesses looking to experience and host private and corporate events in the UK and abroad. Offering the highest level of personalised hospitality services to corporates, professionals and families. Let us build your dream experience. Are exceptional in managing the needs and requirements of their customers, from the UK to other parts of the world from country estates to the French Alps, no request big or small is too much. Everything is handled with total professionalism and expertise which gives you great comfort and trust in knowing that you are in a very safe pair of hands for your event. We were thrilled to create a stunning wedding in Austria in March 2017. Thirty guests were flown out who enjoyed a 7 day itinerary finishing with a wedding at 9,000 feet. Apres ski parties, dog sled experiences and extensive back country ski touring ensured guests enjoyed a true winter paradise, bluebird skies and a unforgettable wedding! We were asked to help provide production and catering management for a film shot in Bath in February 2014 which has gone on to have global success. The Centurion Resurrection directed by academy award winner Richard Bazley was shot around the Roman Baths and the cities historic sites. We were privileged to be asked to manage the catering and hospitality for HRH Prince Edward in central Bath on two occasions in 2014 and 2016. 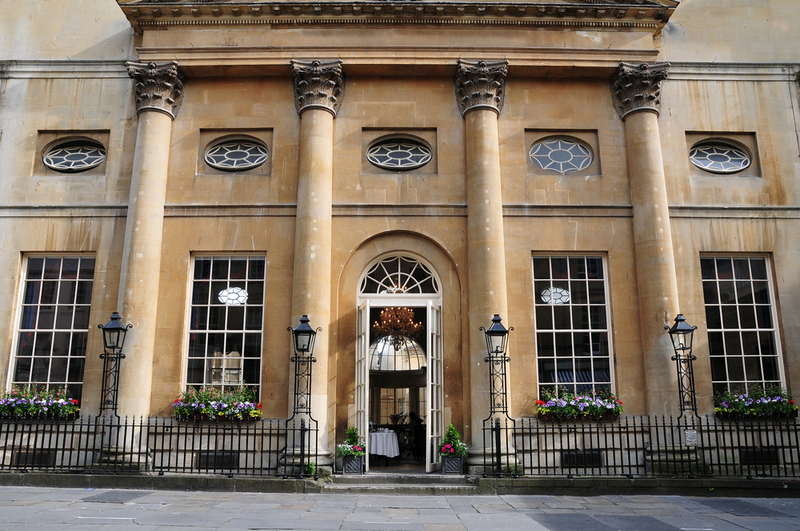 Deluxe arranged two days of catering and staff for a formal private lunch and then a more relaxed informal banquet the following day which took place in The Guildhall, Bath. Our first large event of 2019 treated us to catering for one of the most recognised brands in fashion at the stunning Euridge Manor Estate just outside of Bath. Working with the talented Meet Marcel we crafted an evening with welcome drinks on entry by the boat house, and soon guests were taken up to the ball room for their evening meal. Little did guests know that we had set up a hidden club upstairs in the Orangery where guests would dance the night away until the early hours of the morning. Little did we know was that heavy snow was forecast and we had to work out how to transport 90 guests off site back to The Manor House hotel safely before leaving for flights the following day! 2 hours of transportation and come 3am all guests full from an evening crammed of entertainment had managed to get back to their hotel safely. However the Eat Five Star team were snowed in until 2pm the following day! Thank you to all those that helped on that memorable evening and one which guests certainly will not forget in a hurry! in 2012 we helped provide staff for an exclusive chalet in the luxurious French resort of Courchevel. For 5 months staff hosted and catered for guests on a daily basis providing personable and relaxed service to complement the experience of a winter holiday. Since 2012 we have been asked to provide catering facilities and host a selection of Barclays high net worth clients. Setting is within a corporate building where both event design and consultation is carried out to create a relaxed and refined eating occasion to allow clients to engage with each other. We look forward to hosting more Barclays dinners moving into 2019.